Looking for Bolivia Facts? 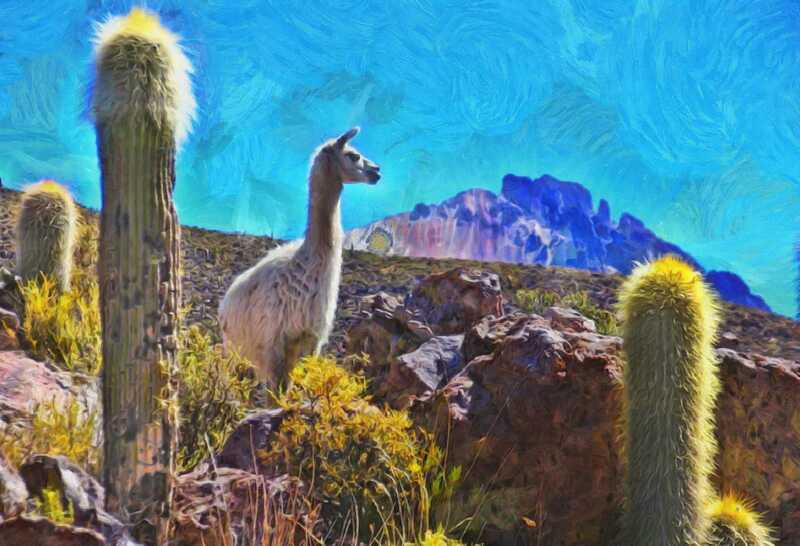 Bolivia is very interesting, unusual, highland country, lost in the vastness of South America. It can be called one of the most colorful and unusual country with amazing natural places and beautiful architecture. Here you can find ancient indigenous traditions fancifully mixed with elements of the culture of European colonizers. 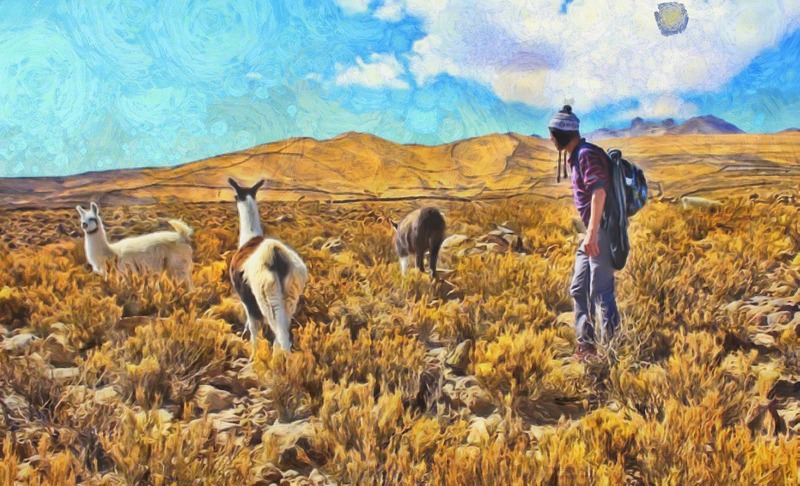 Although, Tourist service in Bolivia is not well developed, anyway this country remains one of the leaders in the field of ecological tourism - people come here to see the amazing beauty of picturesque nature. Bolivians are polite, intelligent people. In addition, they are very friendly, open, ready to always come to the rescue. 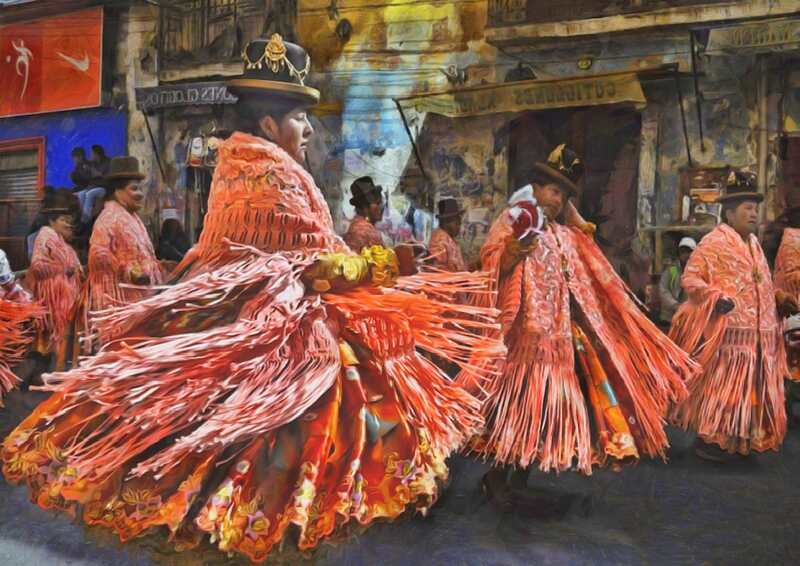 Bolivia is one of the few countries that survived colonization, which managed to preserve its culture and customs. 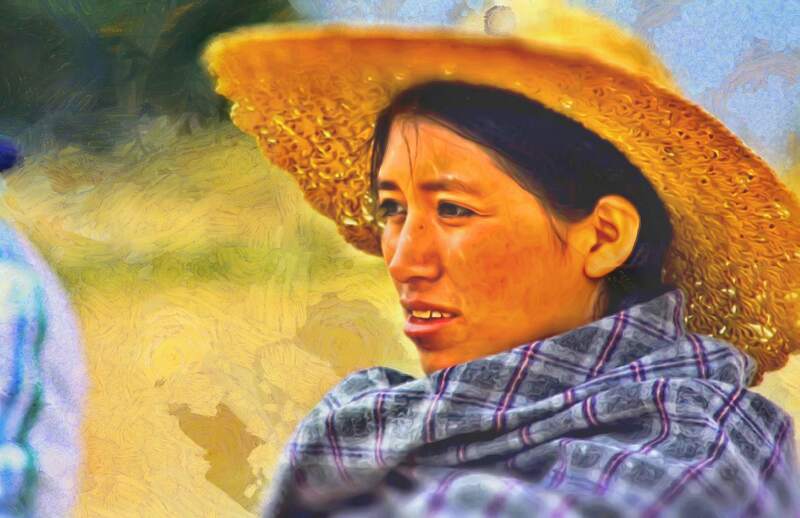 Now in Bolivia is very active movement to resume the culture of the pre-Hispanic period. They are surprisingly intertwined with European traditions. 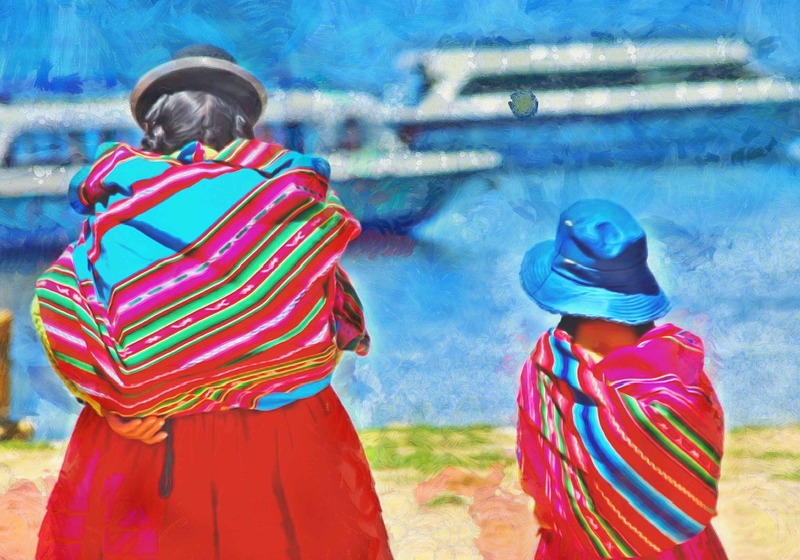 Every village in Bolivia has its own traditions, rituals and national clothes. Most of the inhabitants of the country are descendants of the Indians, but you do not need to abuse this word, so as not to offend hospitable, but severe Bolivians. Bolivians do not like it when they are called Indians. Bolivia received its name in honor of Semyon Bolivar, leader of the war for the independence of the Spanish colonies in the early nineteenth century. Each region of Bolivia is unique. 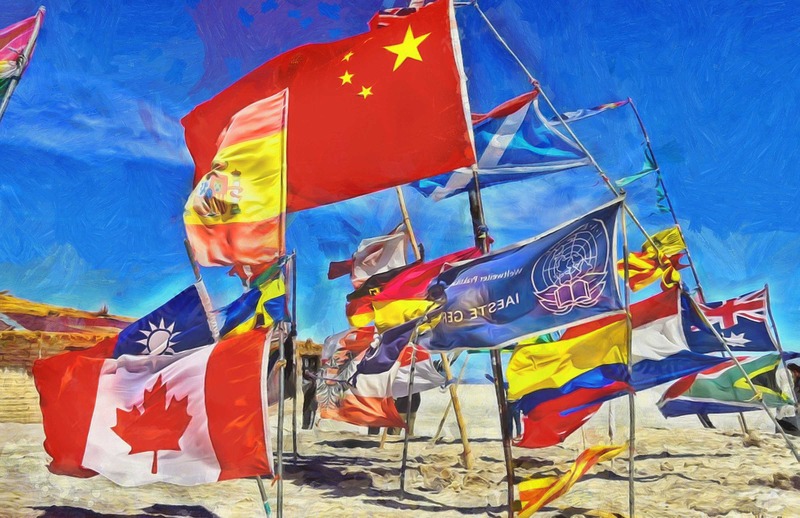 In addition, Bolivia has 37 different languages! 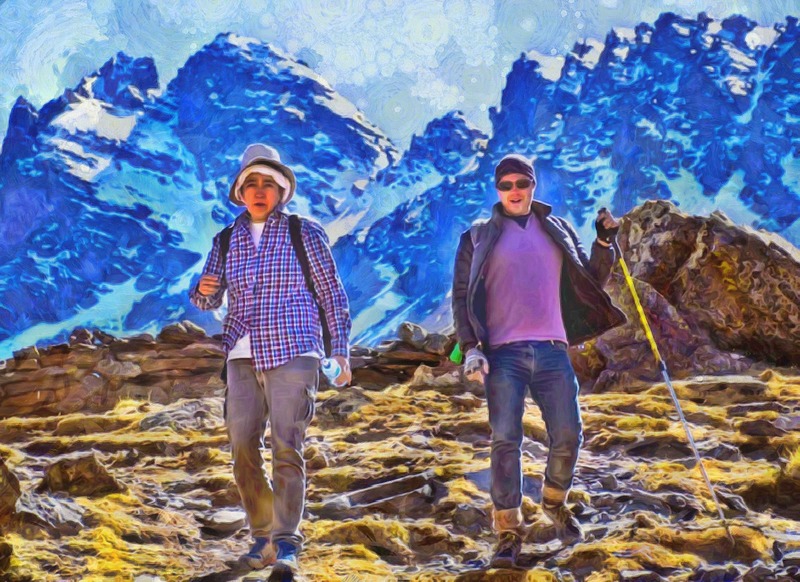 In addition to Spanish is very common "language of the mountain valleys" Quechua. Bolivia Facts - Flag. 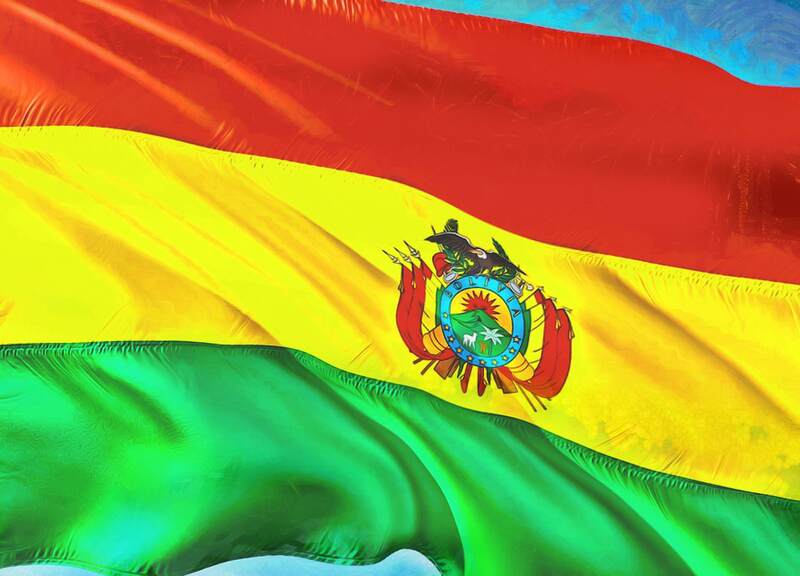 The flag of Bolivia is three-colored. Red - a symbol of the blood of national heroes, sacrifice and love. Yellow - a symbol of the wealth of mineral resources and tribes of Indians Inca. Green symbolizes hope, development and progress. But in addition to the main flag in the country is also very common rainbow flag of the Indians. This flag is the official flag of La Paz. Some people mistakenly mistook him for the flag of sexual minorities, so now there is talk of changing the flag of the city. Weather forecasts in Bolivia differ for different areas of the same cities, because many cities are located on the slopes of the mountains. Five hundred meters above or below the weather can be completely different. 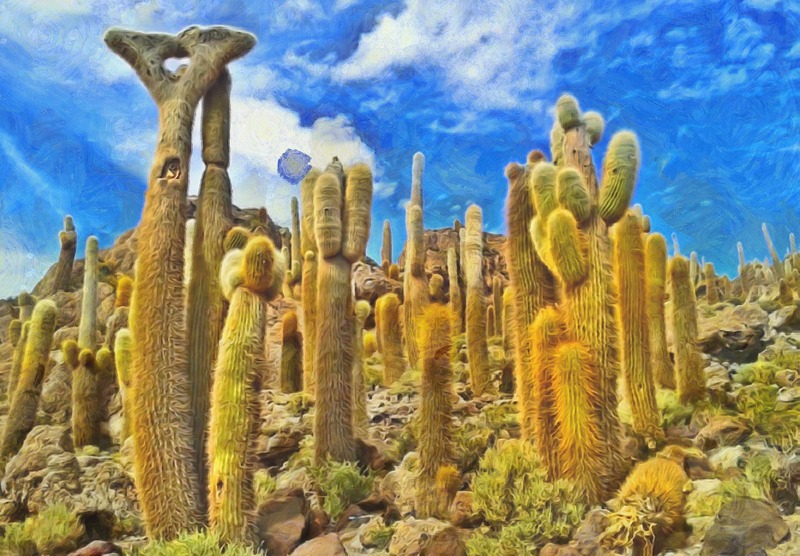 The myth that it is hot in Bolivia is really just a myth. In many regions of the country is very cold. 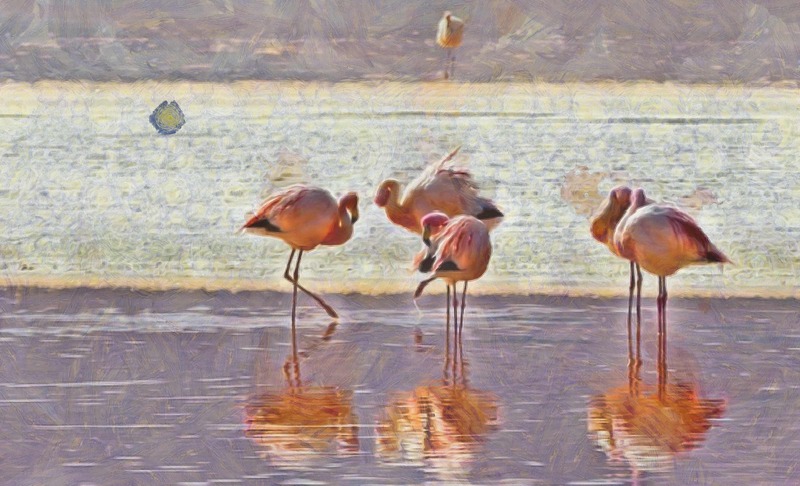 Bolivia is the country where the largest salt-marsh in the world is Uyuni. Usually it is in a parched state, but after rains, when the water level rises by a couple of dozen centimeters, it turns into the largest mirror in the world. And not far from it, old trains find their eternal rest - after all, there is a large cemetery of trains of the last century. 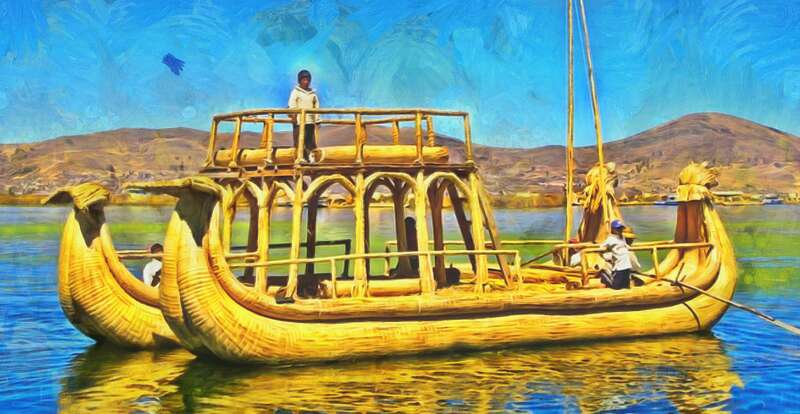 Sightseeing Bolivia - Titicaca, the highest mountainous shipping lake in the world. 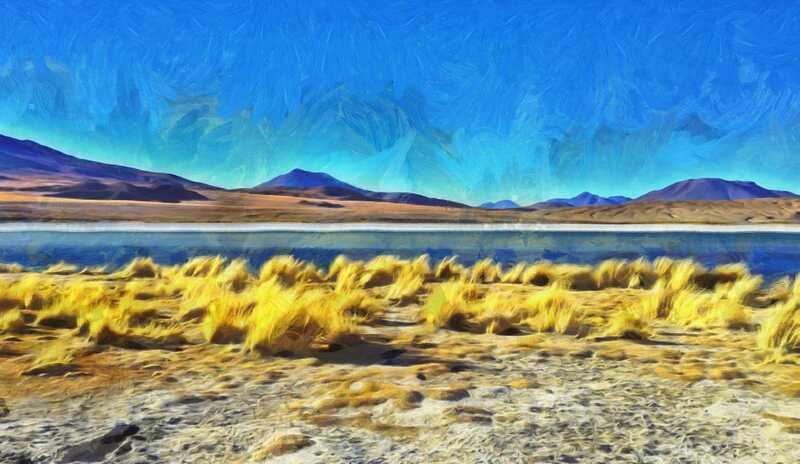 In Bolivia there is the valley of Milluni, where there are many lakes and rocks. Also from here you can see Mount Illimani. One of the mountains of Bolivia Chakaltay is a glacier that is more than eighteen thousand years old. In Bolivia, you need to visit the Syloli desert, the Lunar Valley, the Red Lagoon, the frozen lake. 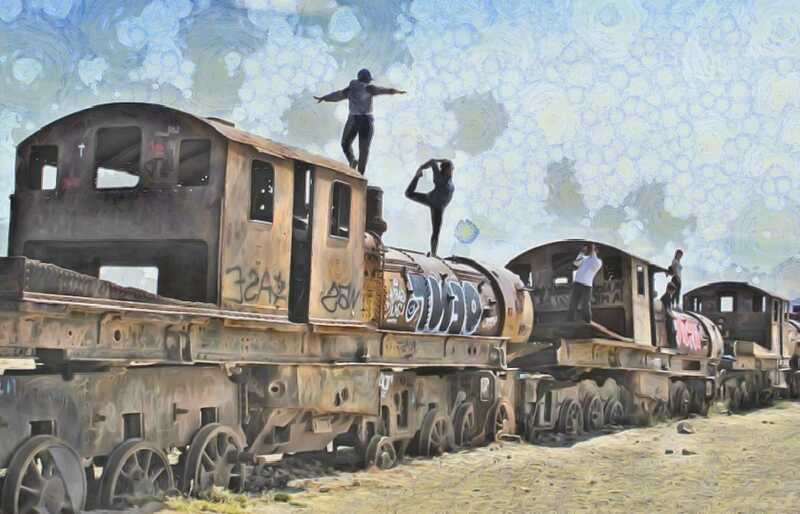 In Bolivia, there is almost no coach surfing. But it`s really easy to find a cheap hostel! 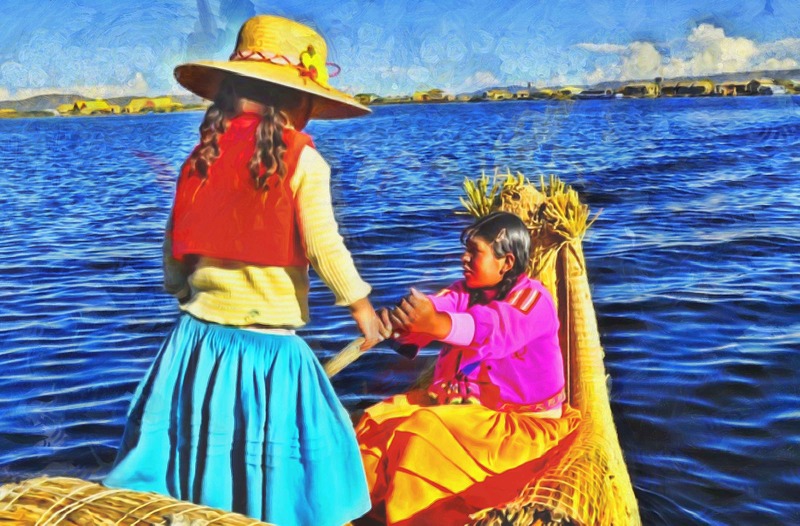 Bolivia is unjustifiably undervalued by the international community. Bolivia Facts - Prices. In Bolivia it's really very cheap. Starting from water, finishing with real estate. To taste delicious and budgetary enough food you should visit the local market. There are thousands of stalls with food. The hostess of each kiosk actively calls people passing, so the markets are noisy. 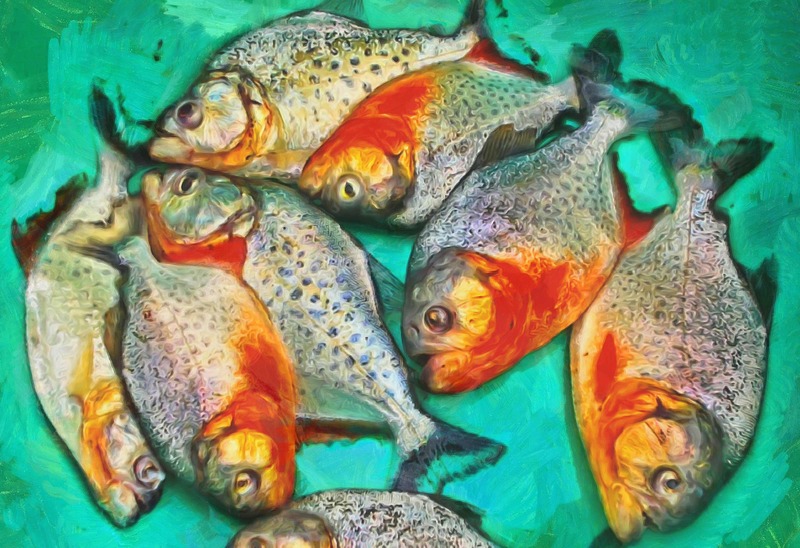 Also in Bolivia, booths with coffee and local drinks, kiosks with freshly squeezed juices and fruit desserts are popular, there are even separate "fish". Bolivians rarely drink or smoke, everything is sold on the streets, except alcohol. You can eat well for 15 bolivians per one - it's about 2-3 dollars. In Bolivia, there are very few supermarkets and shops. Everywhere there are women and grandmothers who sell all sorts of things. There are a lot of markets. In the markets you can bargain and always ask for an additive. Usually, you will get a bonus to buy. Residents of Bolivia are very hardworking and know a lot of crafts, so tourists always buy from them toys, clothes, jewelry and much more. They also have a sign, if you visit Alasitas - a fair where you sell all sorts of miniatures, and buy a thing that symbolizes your desire, then it will become a reality. For example, you want a car - buy her miniature. 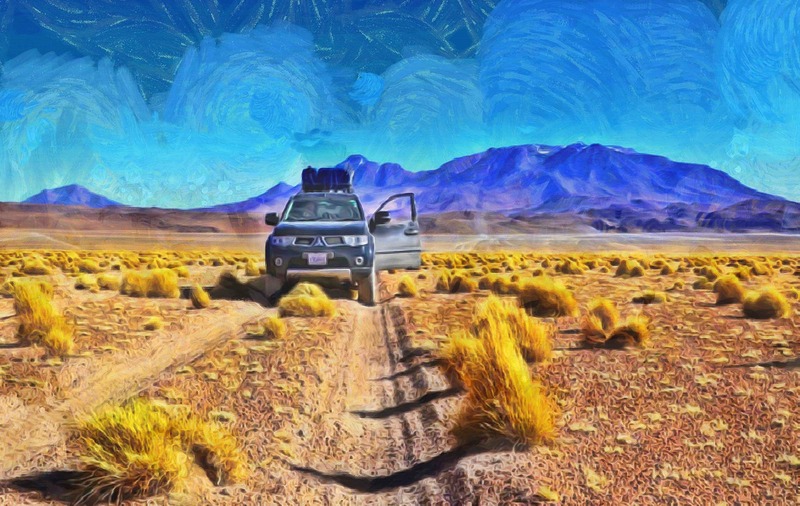 Almost all tourists in Bolivia have an intestinal disorder. The cuisine here is peculiar, tasty, but it is too unusual for our stomachs. Bolivia is the birthplace of potatoes. Here there are about 250 varieties of potatoes. And a few varieties of corn, including white and dark purple. Corn is highly appreciated and respected. They make drinks, food, desserts, alcohol from it. It is believed that Bolivia is the poorest country in South America. But it seemed that Brazil looks much poorer. In Bolivia, there are very few homeless people, there is no crime, the city is very well maintained, without debris and dirt. The main religion in Bolivia is Catholicism. But the Bolivians also retained their faith, where the main deity is Pachamama - Mother Earth. The colonialists explained to the local Indians that the Mother of God is Mother Earth and only thus they succeeded in introducing Catholicism here. 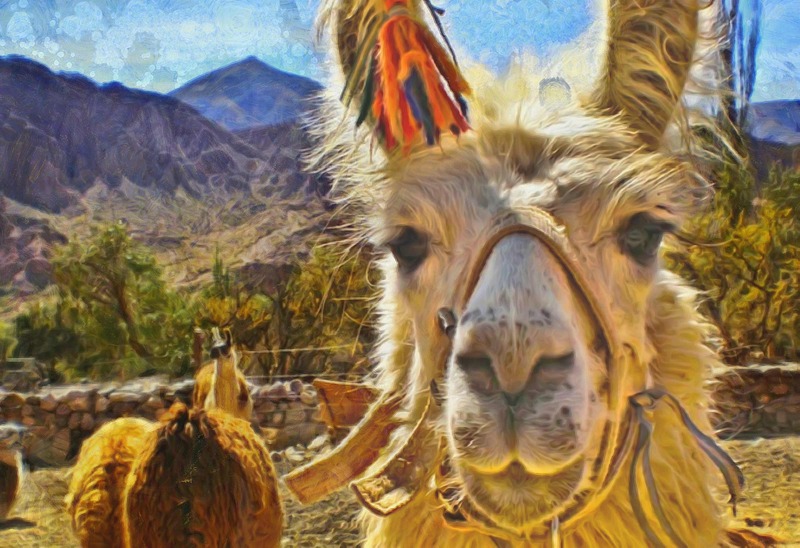 In Bolivia, shamanism, belief in spirits and mythical creatures are also very common. The prison is divided into regions, each region has a president, and its word is the law. Therefore, in this prison there are no fights and troubles. If someone breaks the rules, he will be transferred to an ordinary prison, and of course, no one wants to! 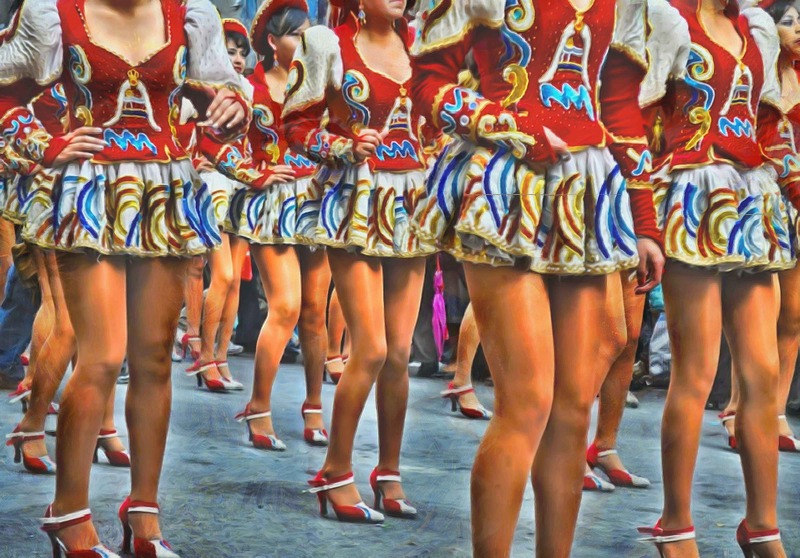 Bolivia Facts - Traditions. 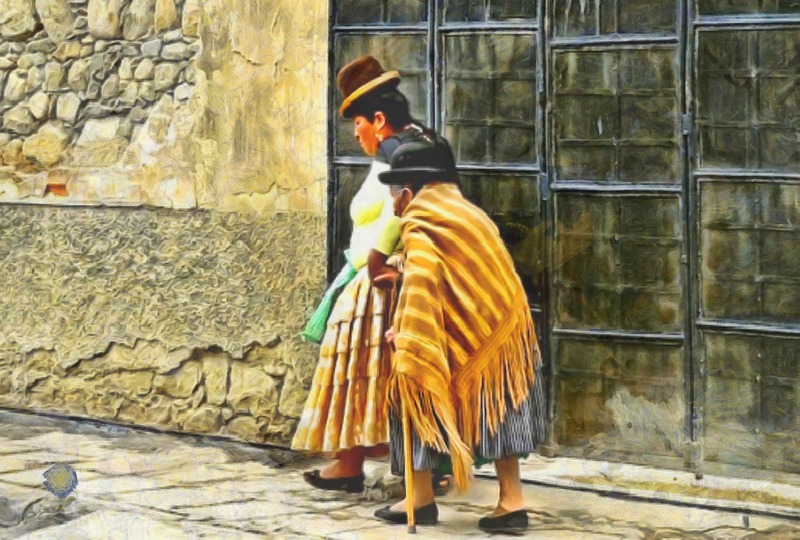 In Bolivia, there is a region where women are always dressed in traditional clothing, traditionally wear two braids and a hat. These women are called cholitas. The rest of the women dress absolutely customary, as in the whole world. Also in Bolivia, wrestling among cholitos - indigenous women is popular. To our surprise, Bolivia has the Internet! In hostels, he is quite decent, we worked without problems, talked on skype, downloaded movies. But the local house in most cases there is no Internet and computers and therefore in this country wildly popular ... Internet cafes! With ordinary giant computers and very slow internet. Nevertheless, such cafes are found on every corner, and they are always packed with people sitting on Facebook and playing games. 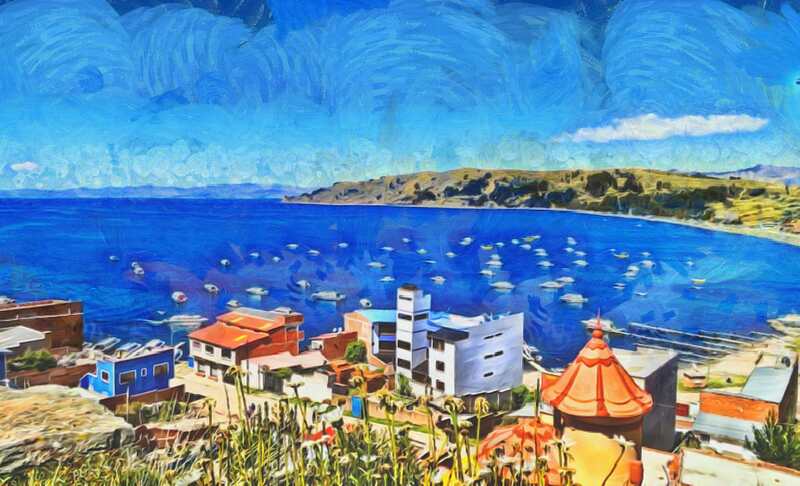 The official and historic capital of Bolivia is the city of Sucre, although all power is concentrated in La Paz. 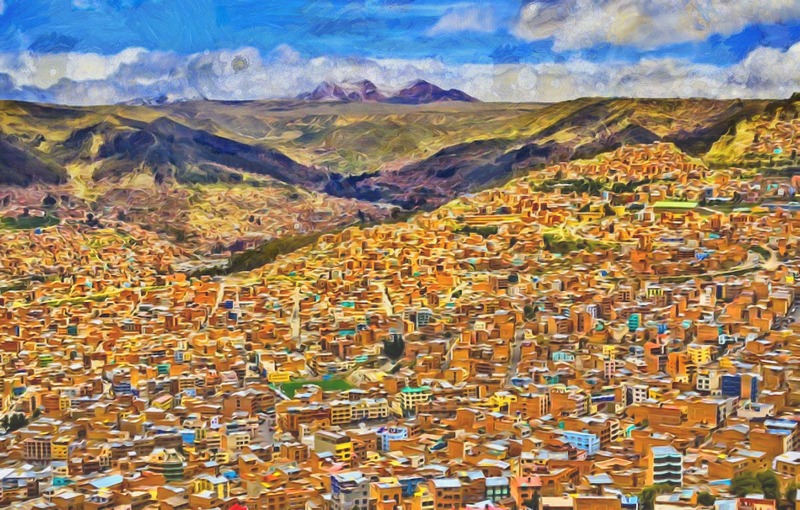 La Paz is many times larger, more developed, noisier and looks like an ordinary capital - with skyscrapers, business centers, running managers and traffic jams. Sucre still remains the capital out of respect for its role in the history of the country, once it was the center of the struggle for independence. In general, Sucre is like the queen of Britain. Bolivia is high in the mountains. 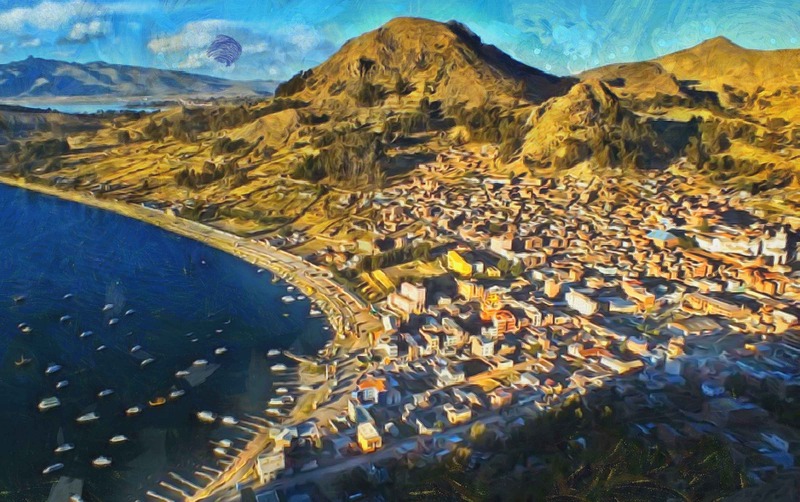 For example, La Paz is one of the highest mountain cities in the world - 3593 m above sea level. Therefore, some here start a mountain sickness, someone just does not have enough oxygen. And naturally during the day it is warm here, and at night it's hellish cold. The spread of temperatures is very high! In Bolivia, in the city of La Paz, there is the most unusual prison in the world. It is a whole city behind huge walls. Inside there are shops, tailors and shoe shops, prisoners can earn and pay for their living conditions. For example, if a prisoner does not have money at all, he sleeps on the concrete floor, and if he has managed to earn money, he can move to a room with a jacuzzi, a TV, and the Internet. Also, prisoners have the right to live with their wives and children. Therefore, several hundred children live in the prison, who go to a regular city school every day in two shifts. In Bolivia, old Japanese minibuses are used as public buses. They have all the inscriptions in Japanese, and the black smoke from the exhaust pipe. Greenery in cities is small, because cities are densely populated, the streets are mostly narrow with missing sidewalks. Therefore, firstly, it is very difficult to breathe in the street, the streets are completely in exhaust fumes, and secondly, there are almost no traffic lights, so the traffic is disorderly. For tourists, crossing the road is stress. Fortunately in Bolivia there is a state program for training in the traffic. This is engaged in cute and funny zebras, which are very fond of the Bolivians. Bolivians love to protest. Protests they have several times a week. Not so long ago there was even a protest of children who demanded the right to work. And over the past 200 years in Bolivia there have been more than 200 coups of different levels! If the authorities, in their opinion, made the wrong decision, they immediately organize a rally or protest action. The most dangerous are dissatisfied miners, for them to be heard, but sooner - they blow up dynamite right under the state institutions. Residents of Bolivia place figurines the size of a person in the center of the cities. These figurines remind - that thieves here are not in special honor and the caught criminal can be executed without a verdict of justice. People's lynching is widespread in Bolivia. If someone is caught stealing, the district residents can punish him and even hang him! 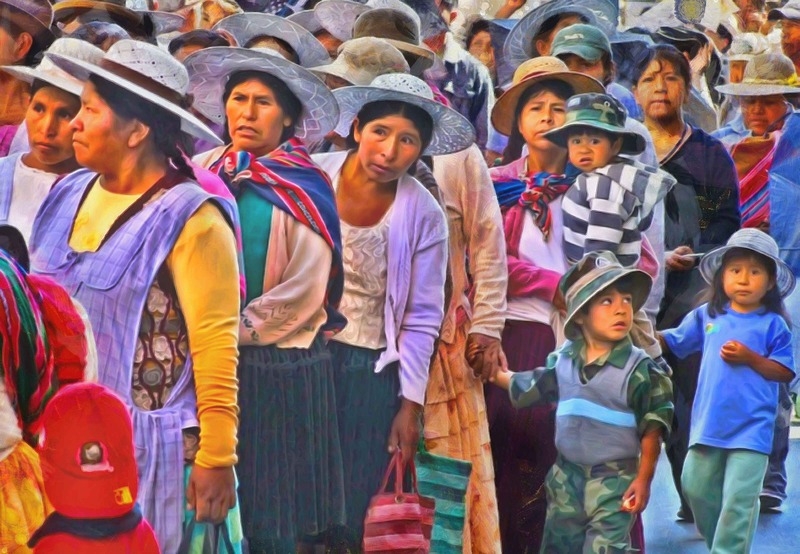 In Bolivia, everything is done with children. Women and children are inseparable. In the markets, children crawl right on the floor under their mother's feet, in the hostels the maids do the cleaning with a child hanging in a special local bag behind them, in the buses the children sit on their mothers, in general, there are probably no kindergartens. Bolivians love coca madly. Coca is an integral part of the culture of Bolivia. 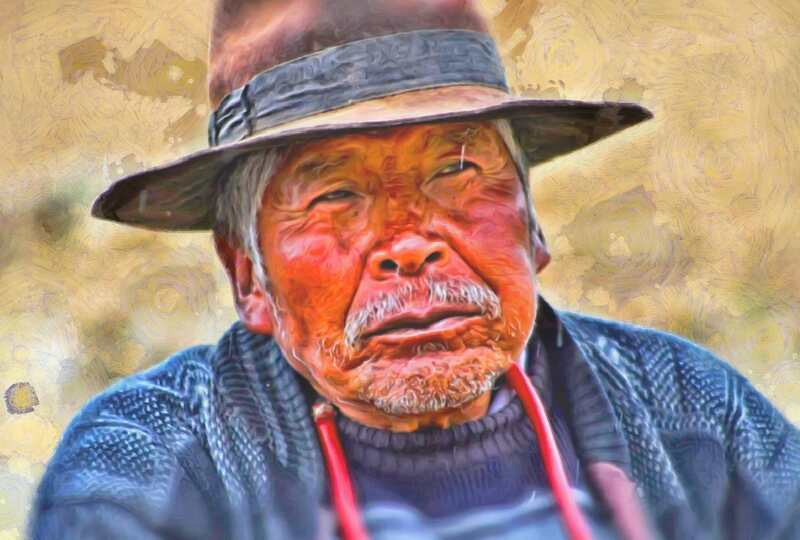 Everyone without exception constantly chews coca leaves, cooks food, drinks, beer, sweets from them ... Coca is present in Bolivia's painting and sculpture and has a very long history of use. Unfortunately, it is impossible to export coca leaves from the country. More precisely, they can not be imported to other countries - this is punishable by law. Today, Bolivia ranks first in the cultivation of coca leaves and the production of cocaine. Yes, Colombia has surrendered. Bolivia exports corn, cotton, rice, sugar cane, as well as tin, silver and zinc, deposits that are found in this country. And the state is the first exporter of Brazil nuts. The main market for the import of Bolivian goods is the United States. But the people of Bolivia do not like the United States. There is no American fast food (after five years of unsuccessful attempts to gain a foothold in the market, McDonald's has surrendered) and economic policy is designed to prevent the introduction of American products into the local market. You can not come to Bolivia and not buy an alpaca sweater! 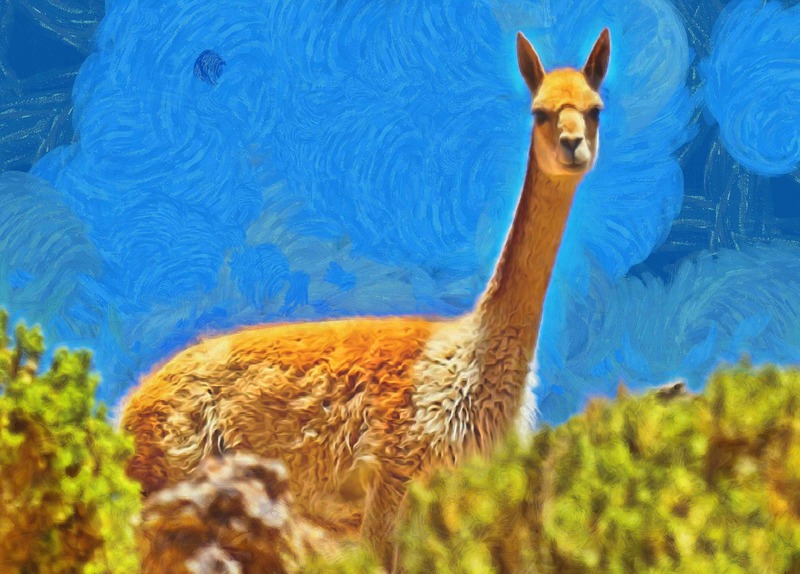 Alpac is very much there, their wool is considered to be the warmest wool in the world, therefore all tourists in Bolivia first of all run to souvenir shops. Given that it is very cold here, sweaters are just "very much to cheer"! The current president is the first head of the state of Indian blood for the last 400 years! The history of previous presidents is very sad. Many tried to rob the treasury, ran off with large sums of money. Not surprisingly, they themselves were killed by the Bolivians. Local people believe in magical creatures: gnomes, fairies, ghosts. For help, some turn to the shaman, others to witches and sorcerers. 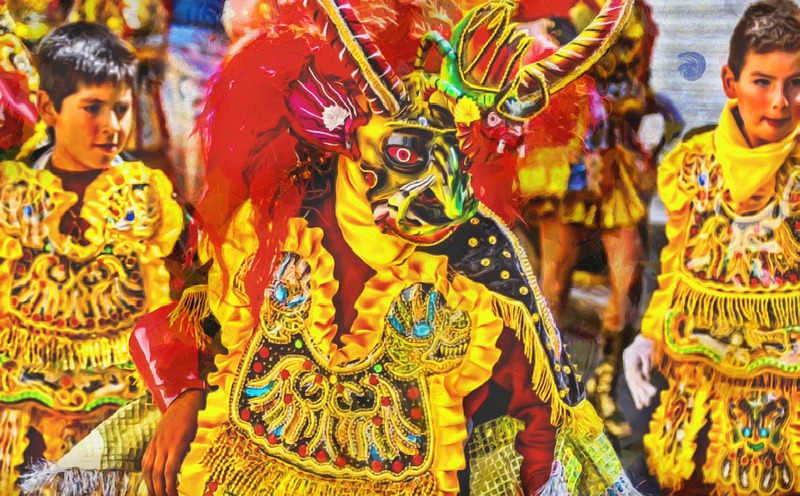 Outside the town of La Paz there is the Sanctuary of the Devil, where you can meet the King of Hell and make a deal with him. And in the capital there is a street Witches and a market where you can buy various things that have super powers, and also to prepare a magic potion. Skeptics should keep their opinions to themselves, because the locals do not like to talk in vain about supernatural topics, let alone joke about it. 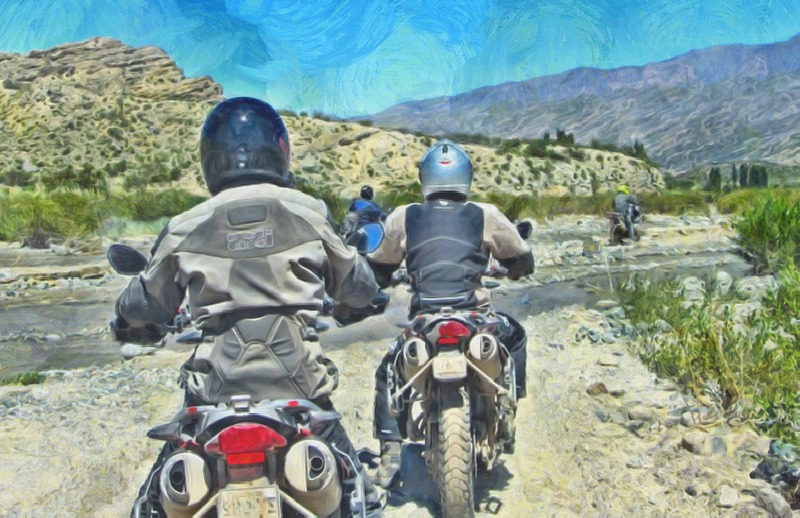 The most dangerous road in the world, the Road of Death, is located right here. Rains and fogs are frequent here, the width of the road does not exceed two or three meters, with rocks on one side, and a deep abyss on the other.